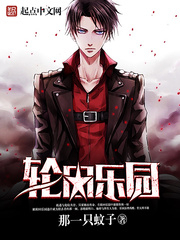 Su Xiao is a cold-blooded teenager who’s seeking vengeance for the death of his family, yet things ended up badly for him. As he was taking his last breaths, he heard a voice calling him from dimensions, it was a strange system reaching him, asking him if he wanted to be saved, to be Reincarnated. He just needed to accept a contract, Su Xiao didn’t have any choice but to do so, but he didn’t know what he signed up for!! But Su Xiao wasn’t any ordinary Contractor, Su Xiao was a Hunter!